Prodermal is an Australian authorised skin treatment centre and stockist of professional skincare products. We are passionate about skin health and wellness, and our growing team are experienced professionals and experts in their field. We choose to work with and recommend professional skincare products that are designed and developed to deliver the best results for your skin. That is why we have selected the brands available on our site. Our skin therapy team consists of dedicated professionals that combined have more than 35 years professional experience. They have expert knowledge in the skincare arena and their focus and experience has always been on skin therapy education. We are proud to be able to provide customised advice, whether it’s face to face in our clinic, online via our website or over the phone. 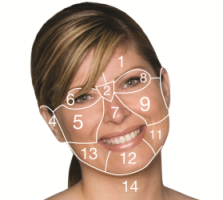 To find out more about our clinic and our treatments, please click here. We believe in an approach that reflects integrity and consistency. We provide outstanding every-day online prices. You can count on these no matter when you shop with us. We offer a leading Rewards program. We only sell and work with professional skincare products, so we thoroughly understand what they do and how to use them. Advice is provided by our our highly qualified therapists - the same people who provide skincare treatments in our clinic. Our team is passionate about providing you the best service experience possible. We usually ship same day for orders received by 1pm. Click here for shipping information. We offer a no-hassle return guarantee. Click here for returns information.